Bulgaria is a country in Southeastern Europe, located in the heart of the Balkan peninsula, with a territory of 111 000 km2. NATO member since 2004, and EU member since 2007. 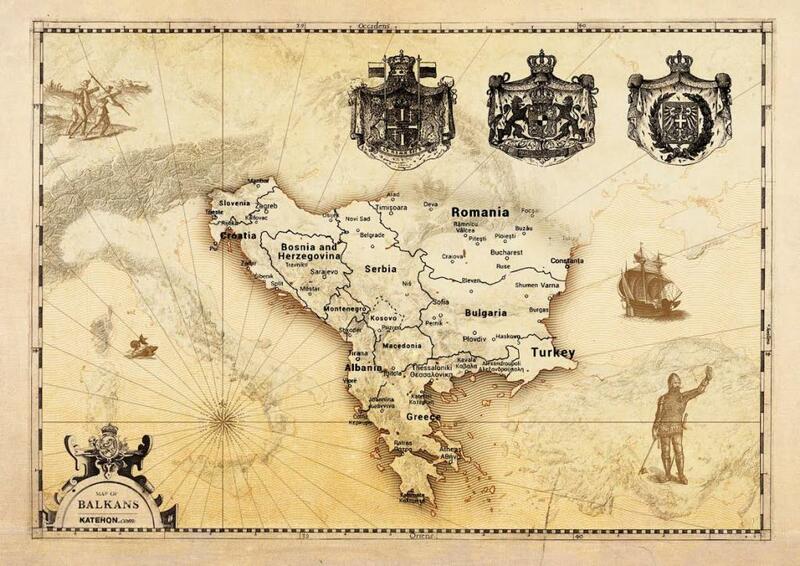 Bulgaria is a country with a key geostrategic location. It’s the territory between Europe and Asia. These territories have always been extremely important, and the Great Powers have always wanted to control or influence them. After the Second World War, Bulgaria became part of the Warsaw Pact and was in the geopolitical sphere of the Soviet Union, however in the 1980s the Soviet Union started its deconstruction, and in 1989 Bulgaria was transferred to the US geopolitical sphere with a so-called “revolution” which was nothing but changing the owner of the country. From then democracy kicked it. By democracy the Bulgarian post-communist elites thought one thing – legally robbing everything which was built since the end of WWII. Having all of this in mind Bulgaria is not a subject but an object of the geopolitics. It’s even hard to say that Bulgaria is a country – it’s a territory with colonial administration currently employed by the US. However, as some wise people have said “the best slave is the one that thinks he’s a free person”, the same could easily be said for the Bulgarian population. After the “changes” in 1989, the Bulgarian population thought they’re finally free and will prosper. Just the opposite, Bulgaria is one of the fastest declining countries without an open war in the country, in every possible aspect. As mentioned, the Bulgarian lands are of big importance. In the past 26 years, the USA and Russia have been clashing for what’s going to happen in Bulgaria. While in the 90s and early 2000s, it seemed like both sides had agreed on the following deal – the US politically controls the country, but Russia can still have its energy projects in the country. Step by step, year by year, the USA was gaining more and more the full control of the country. First, without even being a member of NATO, Bulgaria allowed the USA to use its airbases to bomb neighboring Yugoslavia. One of the conditions which the Bulgarian government had to sign when joining NATO was to drastically reduce the army. This move was designed to eliminate the chances of having any kind of sovereignty guaranteed by a strong army. From 108,000 soldiers in 1989, Bulgaria currently has less than 26,000. The situation with the military equipment is even worse. Another political victory for the US was the condition to close two well-working nuclear reactors of the Bulgarian nuclear plant “Kozloduy” which limited the energy potential of the country. The next clashes were for the project for a second nuclear plant in Bulgaria which the Russians wanted to build. However nobody in the West has any interest in having this nuclear plant and after years of debates and drama, currently the project is frozen. The South Stream Project was a project to deliver gas from Russia to the EU through Bulgaria by bypassing Ukraine which has always caused problems for the delivery of gas. The project was going to create thousands of workplaces in Bulgaria and the country was going to have hundreds of millions of profit, annually. Everything sounds perfect if we forget who’s in charge of the country. The Bulgarian government didn’t even take part in the negotiations for the project. EU delegates were in charge of negotiating for the Bulgarian side and the project was stopped. As a frontline member of NATO, the Bulgarian territories have been continuously used for all kinds of military drills. NATO currently has 4 military bases in Bulgaria and opened a command center in the capital Sofia. Also, Bulgaria has taken part in almost every military conflict led by the US. Bulgaria has sent armed forces in both Iraq and Afghanistan, and was one of the first countries to recognize Kosovo. The current government is headed by Prime Minister Boiko Borisov and his party GERB. To best describe it, Borisov and his government is the mediator between the US interests and the Bulgarian oligarchs and mafia. The President Rosen Plevneliev is one of biggest lackeys of the US in the country. On the other hand is the so-called patriotic and pro-Russian party “Ataka” with its leader Volen Siderov. If we add all the other parties in the parliament, we’re getting a bad-organized circus with a bitter taste of corruption coming from everywhere. Bulgaria has been witnessing a steady decline in every possible sphere, except probably the corruption. More than 3 million Bulgarians left the country in an as they call it “survival measure” due to inability to find any career opportunity or bright future. Currently, Bulgaria has the oldest population in the world with an average age of 43. The educational system is literally not working and if for some reason there are still students who are doing well, the moment they graduate from high school they go to study and live abroad. The healthcare system is a disaster and big groups of sick people are left without any help. The situation is the same with everything you can think of. We shouldn’t belittle the ethnical problems which are being sparked by the politicians and some external powers. Bulgaria has several groups of minorities, but the main ones are Turks and gypsies, and another key minority is the Muslim one. All of them have been and could be used in the future as a pretext for an internal conflict which could easily be sparked. Overall, from a top 30 country in the world in the 1980s, Bulgaria has been turned into a barbaric territory, serving the interests of the USA, with anything but a bright future.